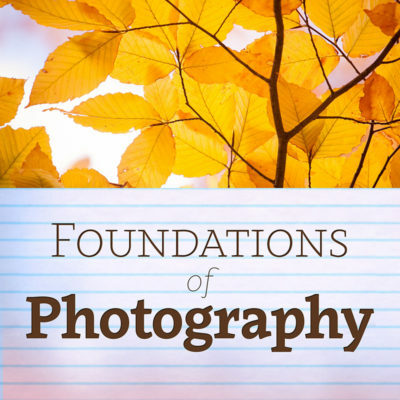 Captivated by God’s creation and inspired by my Uncle’s photography at an early age, I started exploring photography in the early 2000s, began pursuing it seriously in 2006, and jumped into it professionally in 2013 under the business name of Lenspiration. Through the website, workshops and various opportunities offered by Lenspiration, I love to see inspiration planted, nurtured and expressed for the glory of God in the work of other photographers! As a photographer, I enjoy traveling, hiking, exploring, blogging, researching, family vacations and sharing my adventures with others. With creation as my classroom, I love to explore what makes beautiful pictures really “beautiful” and constantly try to turn my snapshots into “wow” shots by experimenting with various techniques in composition, lighting and emotional impact. As a designer, I love to use my photographs to artistically construct inspirational fine art wall calendars for both personal and promotional use in business and fundraising. 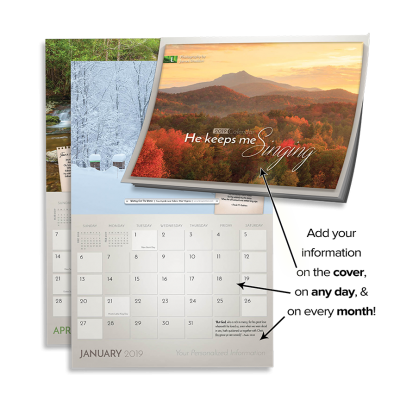 Each year’s template is available for other photographers to use to create their own fine art calendars too. 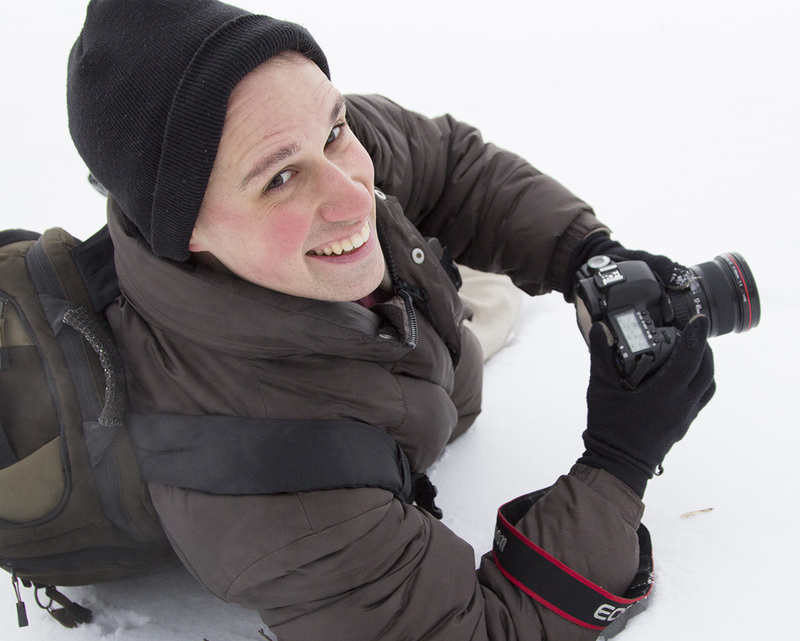 Be the first to know when new photo assignments go live. Assignment notifications will be sent out by email. 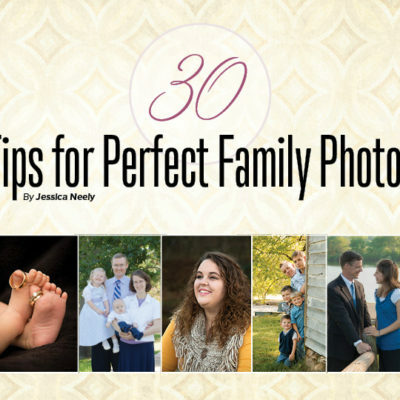 Click here to learn more about how the photo assignments work. 1. In the beginning, everything that God made was good. Everything that existed was objectively wholesomely beautiful (Genesis 1:31). 2. When mankind chose to follow their own moral standards over God’s moral standards, sin entered the world, shattering universal objective wholesome beauty and introduced the confusion of individual, objective moral beauty, ie. mankind choosing for themselves what is right and wrong (Romans 3:10-18). 3. As a descendant of Adam and recipient of his sinful nature, I am apt to follow moral standards that I set for myself, so my perspective on beauty, without completely factoring in God’s perspective, is subjective moral beauty (Romans 5:14). 4. As a Christian, however, I am now a recipient of the nature of Jesus Christ. I no longer desire to follow my own moral standards, so my perspective on beauty, to the best of my ability to understand God’s perspective, is now subjective wholesome beauty (II Peter 1:2). I am not God so I can not completely know true, objective wholesome beauty. But it is my desire to seek it, conform my subjective perspective to it, surround myself with it, and share what I discover about it with others (I Timothy 4:12). Thus, it is my desire that all content recommended by Lenspiration or displayed on the Lenspiration website be objectively, wholesomely beautiful in the eyes of God. Does the content make God smile? Since everyone has their own subjective opinions of what wholesome beauty might look like (or even who “God” is), constructive collaboration and discussion is welcomed and strongly encouraged. We learn from each other’s experience and help each other surrender more and more to the perspectives of Jesus Christ, who is the image of God (Hebrews 3:13, Colossians 1:13-15). In these discussions, Lenspiration reserves the right to remove or edit any content added to the Lenspiration website based on its own subjective perspective on wholesome beauty and the Word of God (Philippians 4:8). Here at Lenspiration, participation by all photographers is welcome and encouraged regardless of race, age, gender, religion, background, persuasion or opinion! We all have something to learn from each other. The Authority of the Bible: We believe that the Bible, comprised of sixty-six books, is the only inspired Word of God, without error in the original manuscripts, and God’s special revelation to mankind (John 10:35, II Timothy 3:16, II Peter 1:16-21); that it is the final authority and guide for all faith and practice (Psalm 119:9-16, 105-112; Romans 10:17, II Timothy 3:17); and that it constitutes the divine rule by which all people will be held accountable (John 12:47-50). The Triune God: We believe God is triune, eternally existing as one in essence, yet in three distinct persons: Father, Son, and Holy Spirit (Deuteronomy 6:4, Matthew 3:16-17, 28:19; John 17, 16:26); and that the Father, Son, and Spirit are equal in all power and authority (John 6:27, 20:28, 16:14). The Deity and Humanity of Christ: We believe Jesus the Son is the second person of the Trinity (Matthew 28:19, Luke 3:21-22, Acts 5:3-5); that Jesus is God incarnate, “God in the Flesh” (John 1:1, 14; Romans 9:5, Philippians 2:5-6); that Jesus was conceived of the Holy Spirit and born of the virgin Mary as a real man and that He is fully God and fully Man (Isaiah 7:14; Matthew 1:18-25; Luke 2:6-14; Galatians 4:4-5); that this birth made Him the perfect substitute and atoning sacrifice for our sins (Isaiah 53:6, 2 Corinthians 5:21); that Jesus rose up from the grave on the third day (Luke 24:39, I Corinthians 15:4); and that His resurrection is proof that all true believers will rise as well (I Corinthians 15:20, John 6:39). The Creation and Fall of Humankind: We believe humankind was created in God’s image (Genesis 1:27, 2:7, 9:6), that Adam rebelled against God and passed sin to all humankind (Genesis 3, Romans 5:12-14), and that sin has ruined humankind and creation, resulting in spiritual lostness, death, and separation from God (Genesis 3, Romans 3:23, 5:12-21, 6:23, 7:18, 8:19-23; Ephesians 2:1-3). The Salvation of the Lost: We believe salvation from sin comes by God’s grace through faith alone, on the sole basis of Jesus Christ’s atoning death and victorious resurrection (John 3:16, Romans 3:23, 5:8, 6:23; Ephesians 2:8-9, I Peter 3:18); that all who trust in Christ for salvation are forever declared justified in God’s sight; and that they will be progressively sanctified by the Word and the Spirit, and will ultimately be glorified (Romans 3:22-8:32, I Peter 1:3-5, John 5:24). The Church: We Believe in one global Church under the headship of Jesus Christ and in the local church as the biblically ordained expression of the universal Church in localized assembly (Ephesians 1:22-23, 2:11-22, 4:1-16; Colossians 1:18), that the Church is made up of all those who have received new life through faith in Christ and are thereby indwelt and sealed by the Holy Spirit (Matthew 26:28, Luke 22:20, Acts 2:37-47, 6:14; Hebrews 9:15-28), and that Christ has commissioned the Church and the Spirit has empowered the Church to share the Gospel with the whole world (Matthew 28:19-20, John 20:21, Acts 1:8). The Literal Return of Christ to Earth: We believe Jesus Christ will come back to earth the way He left, in order to judge the living and the dead (Acts 1:11, 17:30-31; I Thessalonians 4:13-18), and that the day of His return is not for us to know, but could happen at any moment (Mark 13:33-37, I Thessalonians 5:1-6). The Future Judgment: We Believe God will assign people to their eternal destination in the last days (Daniel 12:2, John 5:28-29), that those who refuse God’s loving offer of salvation will be assigned to hell, a place of eternal torment and separation from relationship with God (Matthew 5:29-30, Luke 16:19-31, Revelation 20:10, 15), and only those who have placed their faith in God’s promised Messiah, the Lord Jesus Christ, will be assigned to heaven (John 14:1-2, Romans 4:1-8, Revelation 21:1-4). We believe Christ’s kingdom will never end and look forward to life in the world to come (Isaiah 65:17-25, Ezekial 47:12, Daniel 7:13-14, Revelation 21:1-22:6). Thank you for your interest in Lenspiration, and taking the time to learn more about our mission and who we are. If you have any questions, don’t hesitate to ask via the Contact Page!